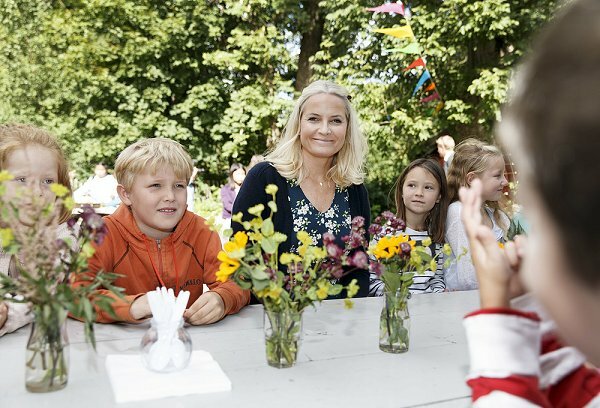 On September 1, 2016, Crown Princess Mette-Marit of Norway attended the 5th anniversary of Geitmyra Culinary Center for Children at the Tåsenveien farm house in Oslo. 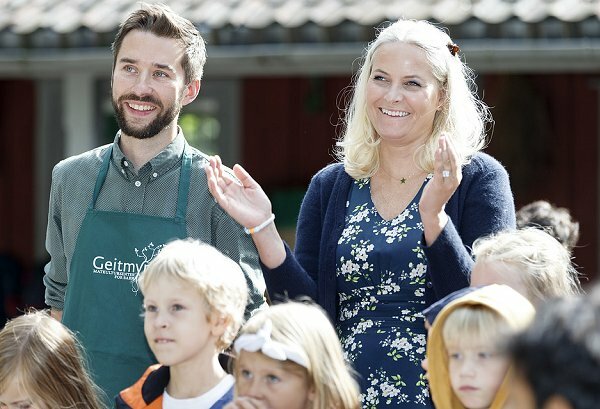 Geitmyra Culinary Center for Children is a place where children discover the joys of cooking and eating good and healthy food. Geitmyra is a non-profit foundation. I really like her hair this way--not as harsh as the straight lines down from the.center part. I also like that she looks so healthy and not scarily thin. I really like this dress on Mette Marit. Great find! She looks really good. 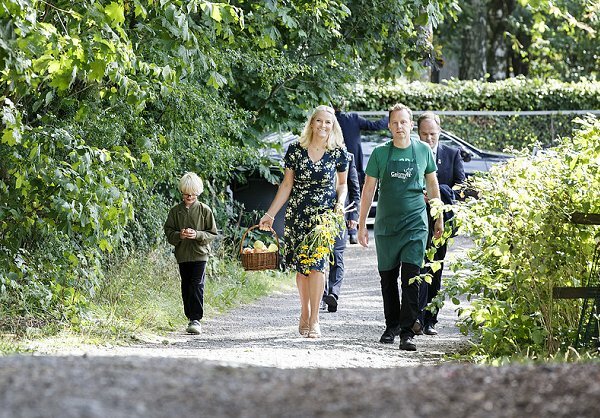 I would love to have that dress, cardigan, shoe combo myself. is she pregnant or. . . Pretty dress and pretty smiling MM.